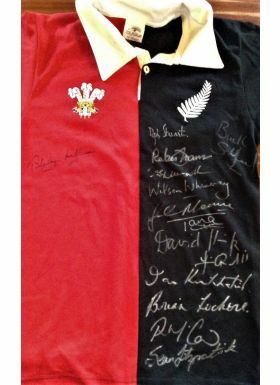 Special signed Wales and NZ 'Half-and-half' divided red and black rugby jersey: Created for a special event, possibly a Wales tour Down Under of the 1990s, this attractive and different item has been signed by the then-sole -surviving Welsh winning captain v the NZ All Blacks, Bleddyn Williams, and by a host of famous All Black skippers who have triumphed since that last Welsh 1953 win! 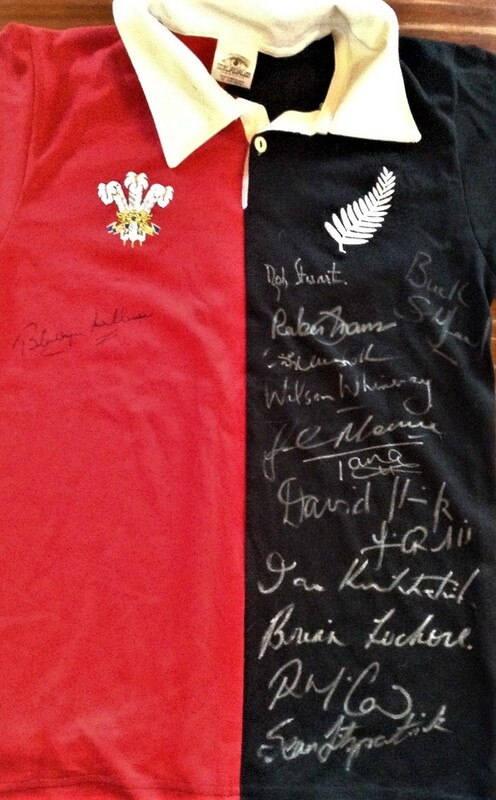 13 have signed to date, including Richie McCaw. Excellent.